One question I have continually been asked recently on the forums I use and on Facebook is how am I so successful at developing my youth intake players into first team regulars. 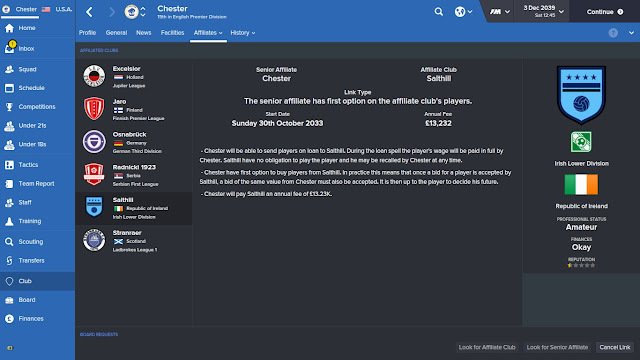 In my Chester game, I have just finished 6th in the Premier League and of my current squad of 29, 15 of my players have been trained at club. 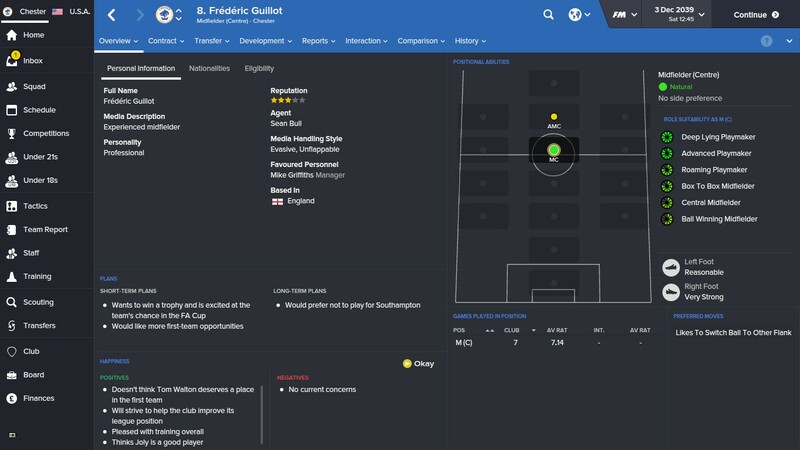 Of those 15 players, 11 have been brought in through my youth intakes and I have developed them into first team squad players, in fact 2 of them have the label 'wonderkid'. So what do I do to achieve this? Read ahead and find out. This is the most obvious thing to do, and I would say 99% of players do this already, but its worth mentioning because it is so important...not on its own, but in combination with the other factors you will read in this guide. 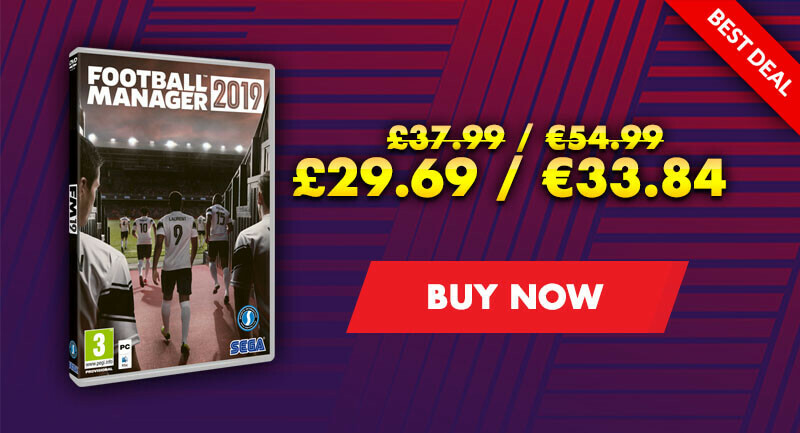 If you want to create and develop your own players in Football Manager, then get at your boardroom every chance you get and get as high a youth level as you can get, as well as improving your youth facilities and training facilities as much as possible. Don't forget youth recruitment level and junior coaching, this is very important. You can max out the junior coaching at Vanerama National level, and will be producing players good enough for 2 or 3 levels above, maybe even the odd player good enough to be a decent prem player. The facilities, recruitment and junior coaching are no guarantees of producing talent, as most of you have found out. The best analogy I have seen I read on the SI forum years ago ( can't find the post so can't find who to credit ), where you think of producing players in the same way as winning a prize on the lottery. I take their idea further however so it is my own. You can win many prizes on the lottery, from 3 numbers to the jackpot. 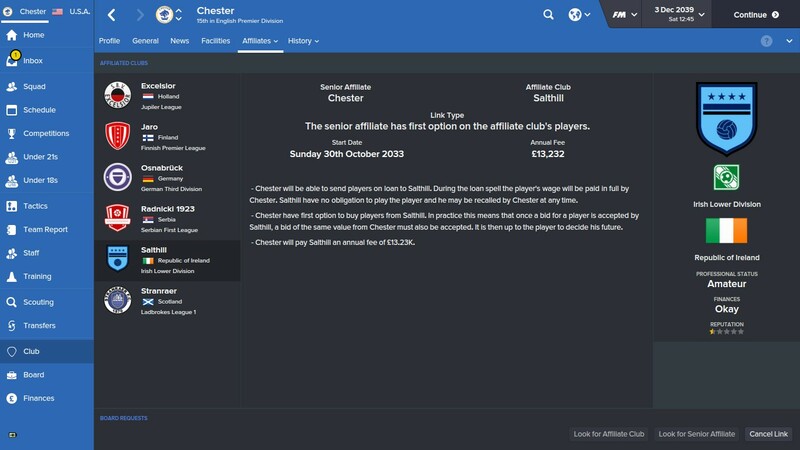 The youth intake is similar, most tickets will not win a prize ( the players who have no chance of making it ), some tickets will win a tenner ( products that wont make it at your club, but you can sell on to lower clubs with a sell on clause for future cash ). 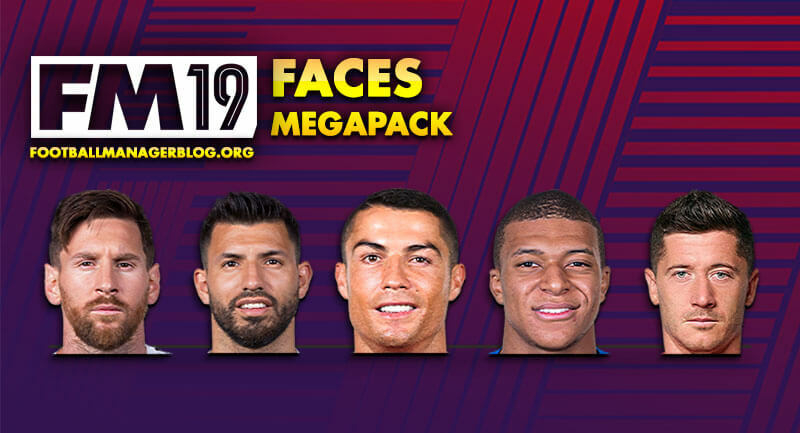 Some will be like the 4 ball prize ( can be squad players but you will probably sell for a small fee ), some like 5 balls ( squad players ), 5 and a bonus ball ( first team regular ), and some like the jackpot ( world class players who can sign for any team in the game ). Of course, it is extremely rare to win the jackpot, and you will have lots of tickets that win no prize, but the way to think of the facilities is this, the better the facilities the more tickets you buy, the more tickets you buy the better chance of winning the jackpot, or indeed one of the lower prizes. The other major thing to consider here along with the youth recruitment is your feeder clubs. 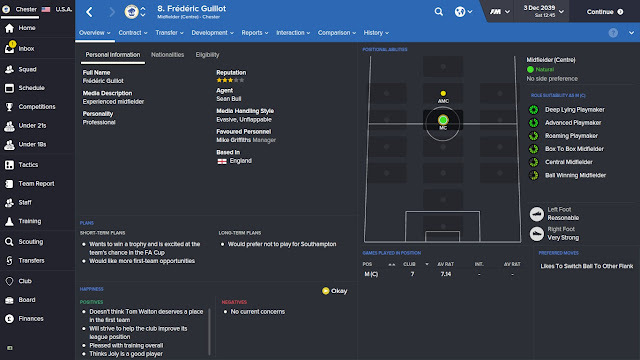 I always mither my board to give me as many feeder club for signing young players as possible. When rising through the leagues I had 4 affiliates of this type, Airbus from Wales, Stranraer from Scotland, Salthill from Ireland and Warrenpoint from N.Ireland. When in the premier, my board dropped the Airbus and Warrenpoint links, so I went out and made new links with Jaro ( Finland ), Osnabruck ( Germany ), Radnicki ( Serbia ) and Excelsior ( Holland ). A nice wide net means more players, or using my analogy from before, I've just bought a lot more tickets for the lottery. This will seem out of the box to most people. You get a youth intake and out of the 15 or so players, most have half a blue star Current Ability ( CA ) and half a black star Potential Ability ( PA ). Why should you sign them? They will never make it will they? WRONG. It I true that your assistant and coaches are pretty good at assessing a player. Most of the time the CA is accurate, there are exceptions to this but I would say 99% of the time the CA is correct. However the PA is basically a bit of a guess, thanks to what I think is some excellent programming from S.I, the perceived PA is one of the best features of the game for me. 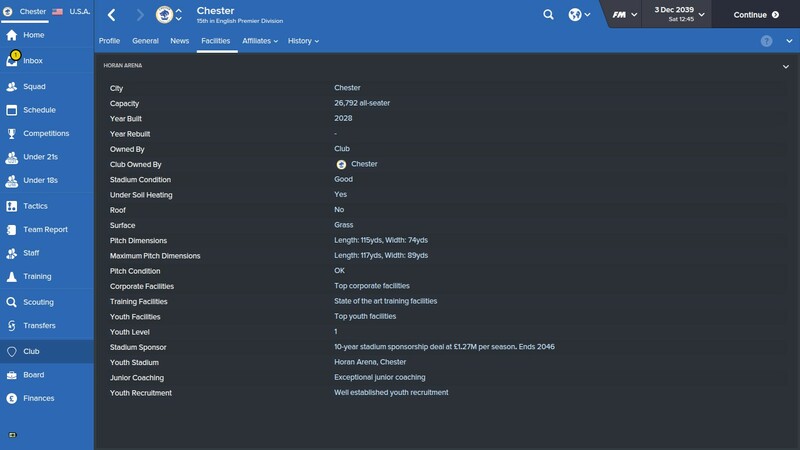 I sign everyone from my youth intake every year, and I know for a fact that some of these players after a year or maybe two will all of a sudden have a lot higher PA than on youth intake day. 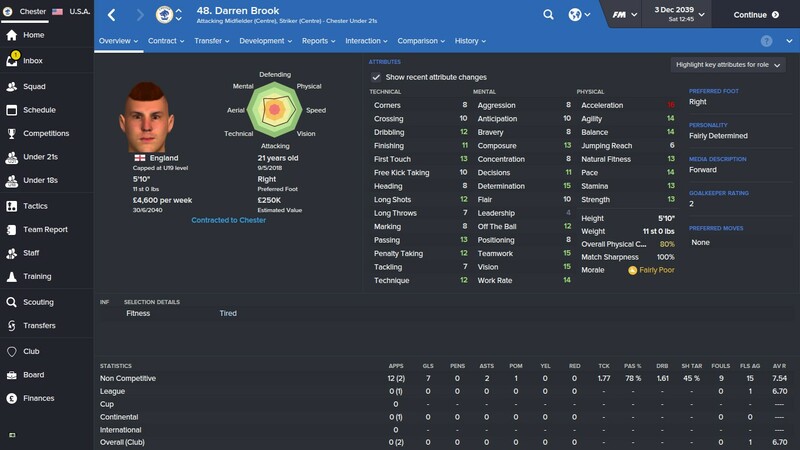 I have seen players develop 3 gold star PA and higher, and one of these is a first team squad player for me now in Darren Brook. Hiring the best head of youth development staff again may seem obvious, but there is more to it than the average FM'er realizes. 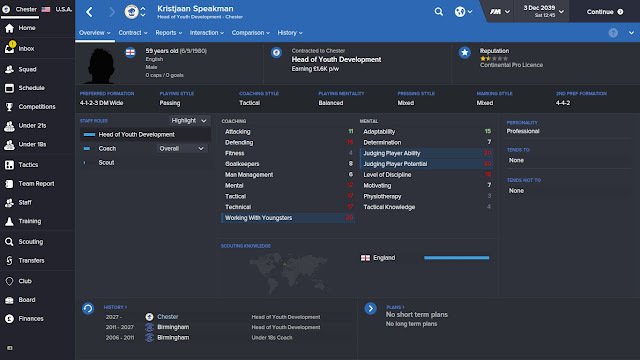 I always go for a lad called Kristjaan Speakman, and I will highlight the reasons for my choice. As you can see from the picture, he has judging players at 20 for both, and working with youngster at 20, everything you could wish for in a HoYD, and he is a decent coach despite his DDM being relatively low. However there is more than meets the eye with Mr Speakman. Firstly the youth intake will be influenced by his personality and coaching style. Look at the info provided, he is balanced, with a preference for passing and tactics. This means he creates players with high passing, first touch and vision and a good mentality, usually the latest thing a player develops. Also, because his preferred formation is 4-1-2-3 DM Wide, he creates a wide variety of positions, I have 4 striker in my squad all from the youth intake as well as Middleton who is a left back, Rook who is a DMC, Symes who is a CM, Jack Sanders as a CB and James Mahon who has been first choice keeper for 5 years now and has attracted bids from the worlds top clubs. Finally because this links in to point number 4, Speakman produces players who have the right personality to develop most of the time. Not 100%, but that's what point 4 is for. Along with point 5 it is probably the post important aspect, although of course all 5 points should work together for the very best results. To develop quickly and to their max PA, a players needs to have the right personality, namely professional. If they do not have a high value for professionalism then forget it. 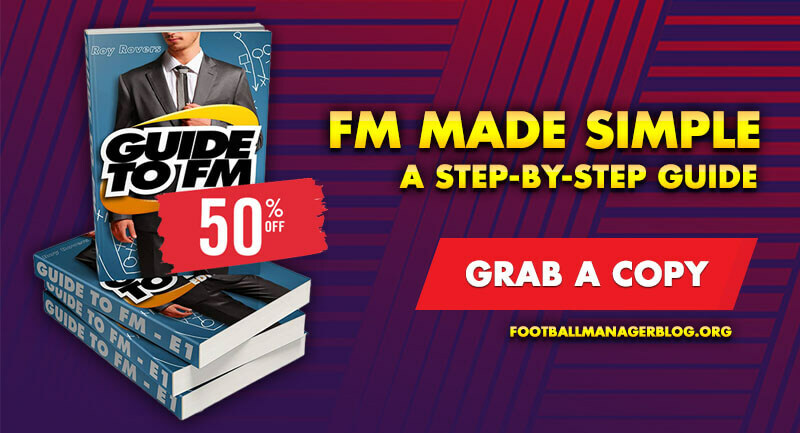 Of course, professionalism is one of the hidden attributes on FM﻿, and so it should be, but because of this how do we know how professional a player is and how do we make them even more professional than they are? The answer is to tutor. 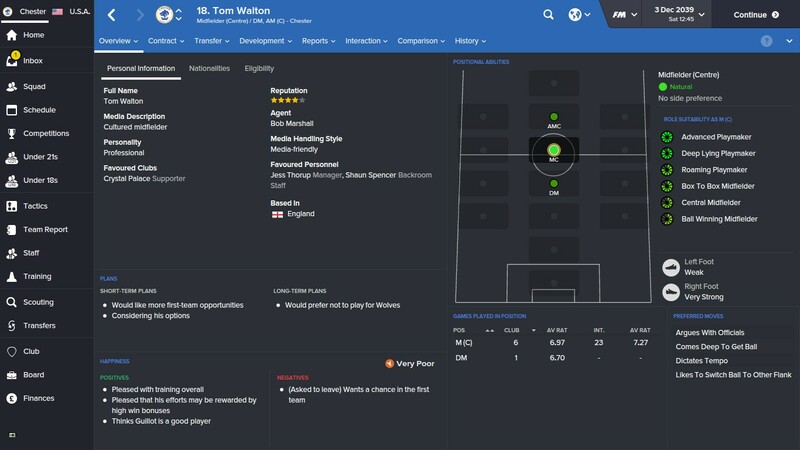 In my squad, I use Frederick Guillot and Tom Walton as my main tutors, and even though they are over 32 years old now, I would not sell them for £100million as they can be useful squad fillers as well as being a key part of developing my youngsters. The other key part of tutoring is the determination. We need as high a rating for determination as possible. High determination also helps on the pitch, especially when not winning, but it is massive for a player developing. As you can see both Walton and Guillot are perfect as they are professional and have determination of 20. When you ask a player to tutor a youngster, you get two options. Always choose the top one for developing attributes and personality. The second one will improve a youngster, ﻿but not as much because it also focuses on the senior player teaching the youth player their PPM's. This can be very useful, especially if you have a specific philosophy to meet, but for pure improvement of a player then its the top option every time. A youth player will not become a first team player without experience. This makes sense, how can you learn to do something unless you actually have a go and do it? We have reserve/U21/U18 teams to help, but there is no substitute for playing first team games, just as it should be. It is important to realise how a player develops, whether to play them in games, how long to play them for, and maybe even weighing up whether it is worth sending them out on loan or not. When a youth intake player signs a youth contract, he will train with the youth team, so be exposed to the coaching of your youth coaches. At this stage, he is 15 or 16 and playing in first team games would only make a minimal difference, and could even pause the progress of a player. It is far more important they play in the U18 team and you have great youth coaches as well as a great U18's manager, who has a similar philosophy and preferred tactic as you do. When the player turns 17 you should offer them a professional contract, even if they still have not shown their true potential to your coaches. If you think a player can make it now is the time to move them to the U21/reserve team. They will play in a higher standard of football and they will benefit from training with the first team, training is still more important than match experience at this age so make sure you get it right and don't play your youth too often, although the odd match shouldn't hurt and may speed up development. When they turn 18 is the key time. If they are 18 years old and still in your U18 team, forget about them, they aren't going to make it. Your only option now is to loan them out and hope they get experience that way, its very rare they will develop into a first team player but you may get them to develop enough to sell them for a small fee or for free with a sell on attached. Not what your after I know but a good way to help your youth section to become self funding. If they are 18 years old and you have hopes they can become a first team player, now is the right time to get them game experience and you need to play them or they will not develop. I'm not saying make them first team regulars now, but they need the odd start ( league cup is useful here unless you really want to go all out in the 3rd round at home to Crewe! ), and they need to be brought on as sub. The timing of the subs is important too, you must put them on before the 75th minute so they get a match rating, or they don't develop. They should be playing 25+ games a season, and you can use the training tab to see how they are developing, tailoring your training to improve what you want. If there is really no space at all in the team or on the bench, but you think your player can improve, then using the loan market is useful, but you must get it right as you are giving up control of your players development. The club you loan to must play your player most weeks if not all, and must have excellent coaches and facilities. If they don't, do not loan them out, ever. In my go Leicester City are perfect, and championship clubs Everton and Aston Villa are also very useful. For players not as well developed, Bolton in the conference still have excellent facilities and go a good job. Football Manager guide on who to develop your own youth intake players. 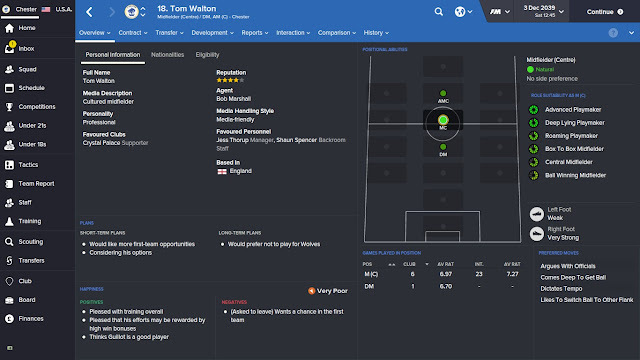 Top 5 tips that will make you produce world-class players in your next save.